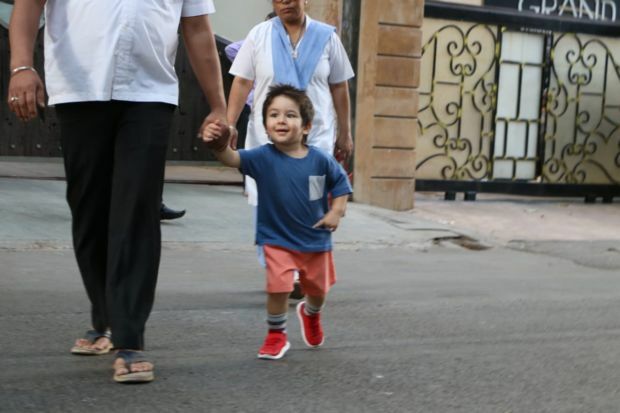 Another day and another sighting of Taimur Ali Khan! This time the toddler isn’t hanging on to his nanny. Instead, he is up and about. 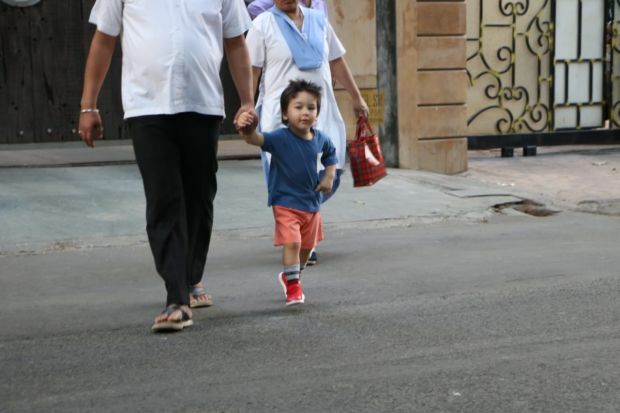 Everyone’s favourite star kid looked smart in a blue tee and pink shorts. The red shoes were quite the attention grabber. 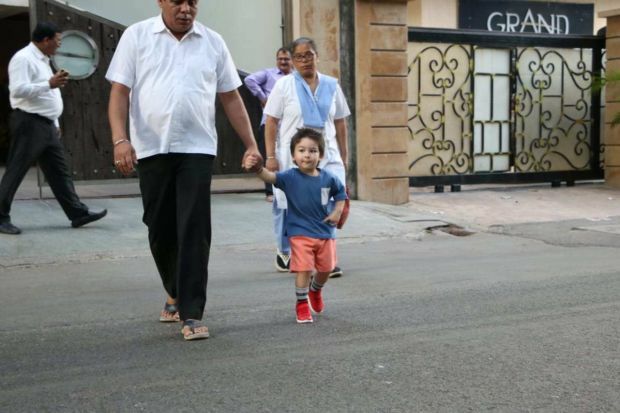 The little lad seemed excited to be out on the streets. With the amount of attention he gets from the paps, he’s got used to the sight of cameras around him.